Circulating debris in central heating systems can cause wear and premature failure of pumps, valves and heat exchangers. 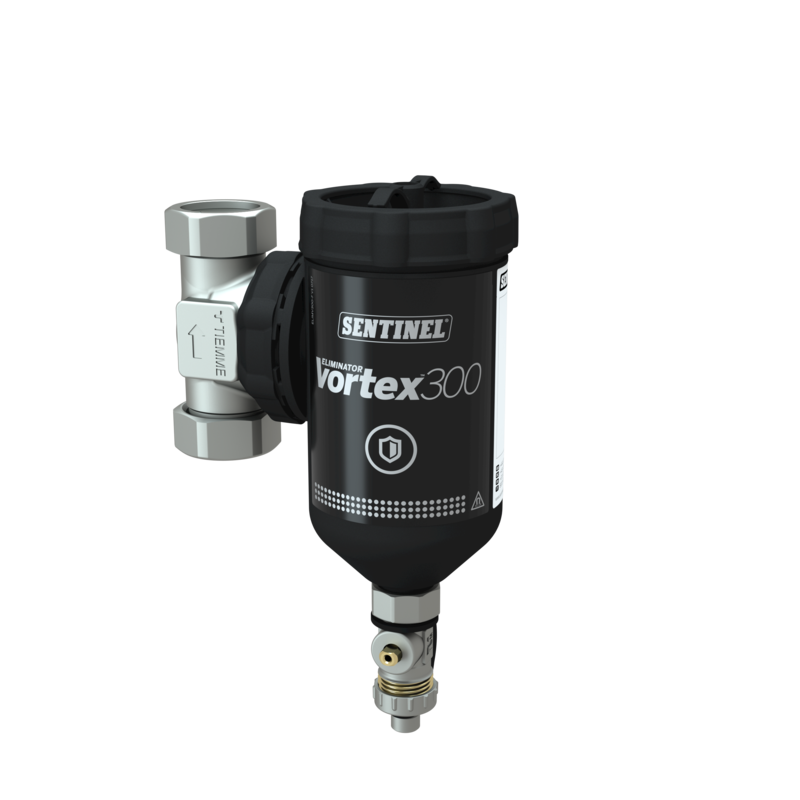 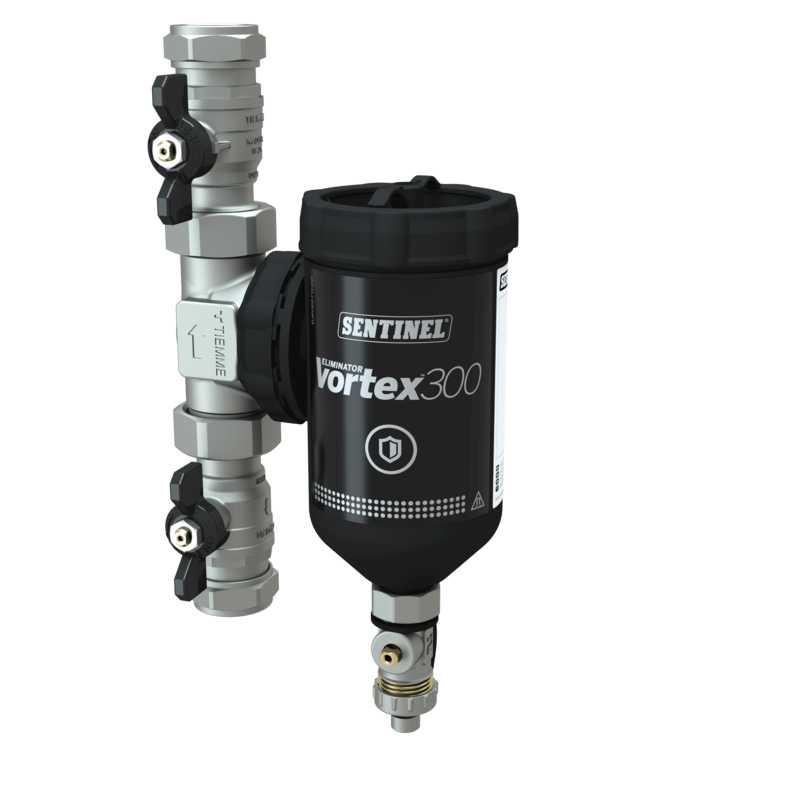 Sentinel Eliminator Vortex is the perfect filter solution to protect the system against all types of debris. 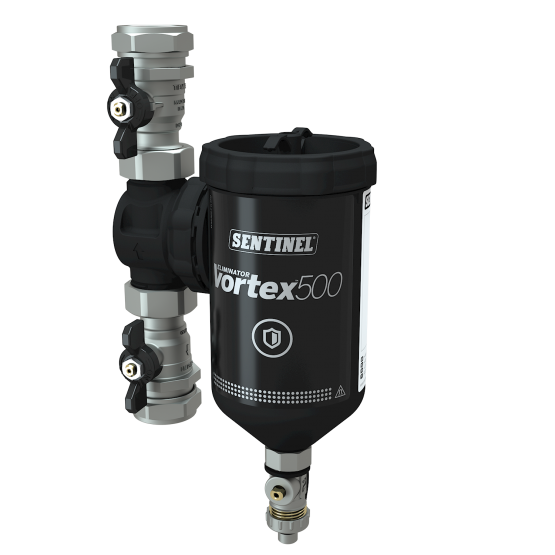 To suit your requirements; the unit comes in two sizes: the standard Vortex 500, or the more compact Vortex 300. 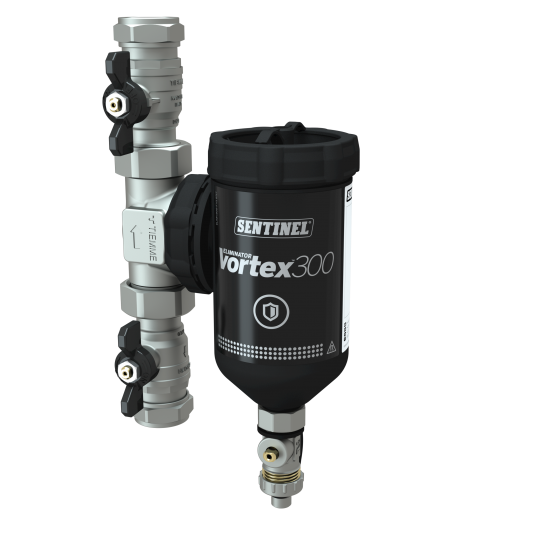 To create the installer-friendly Vortex filter range, we’ve taken your favourite features from our previous range of Eliminator filters, such as their leak-free, non-blocking design and automotive build quality, and combined them with traditional magnetic filtration, a slim profile and close proximity to pipework for easy installation in tight spaces. 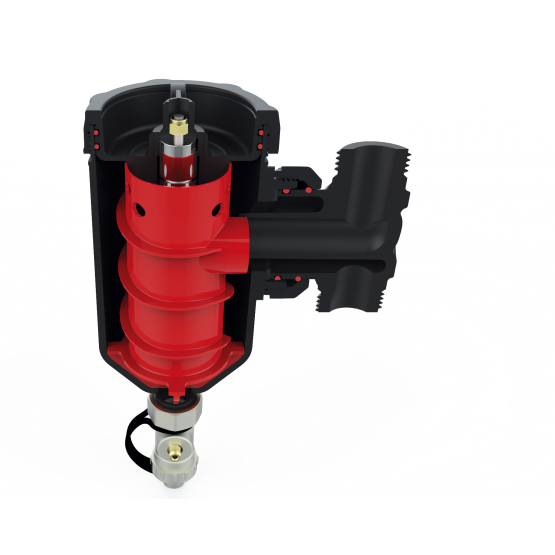 Both sizes have in-line installation and a rotating 360 T-piece making them easy to fit in a matter of minutes. 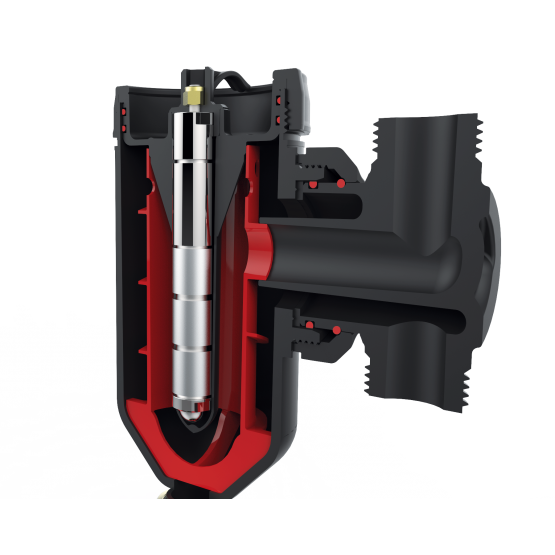 Servicing can also be completed quickly: flushing debris through the drain valve in seconds or by removing the collar to show your customers the collected debris. 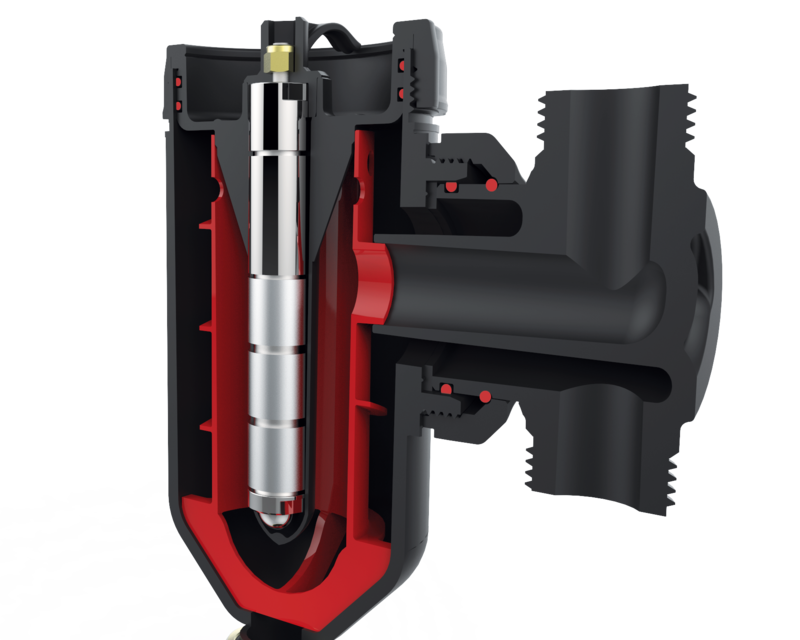 To keep servicing as simple as possible, no bespoke tools are required to remove this collar and the seals do not need to be replaced. 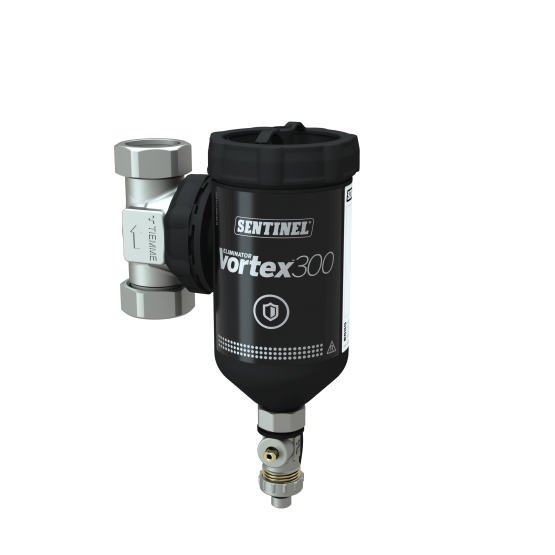 The Vortex range continues the tradition of dependability of the original Eliminator filters, in both manufacturing and testing. 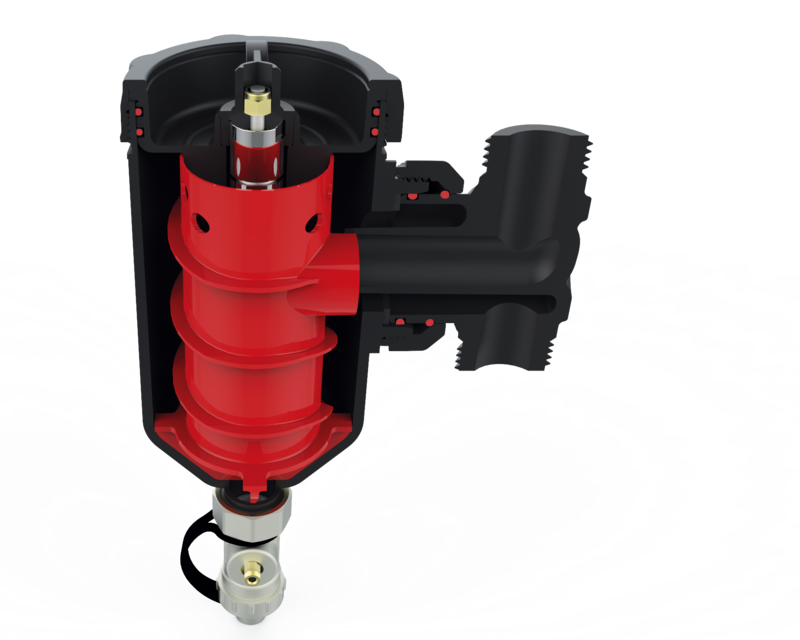 Every single unit is pressure tested before it leaves the factory and comes with a 10 year product guarantee to give you total confidence. 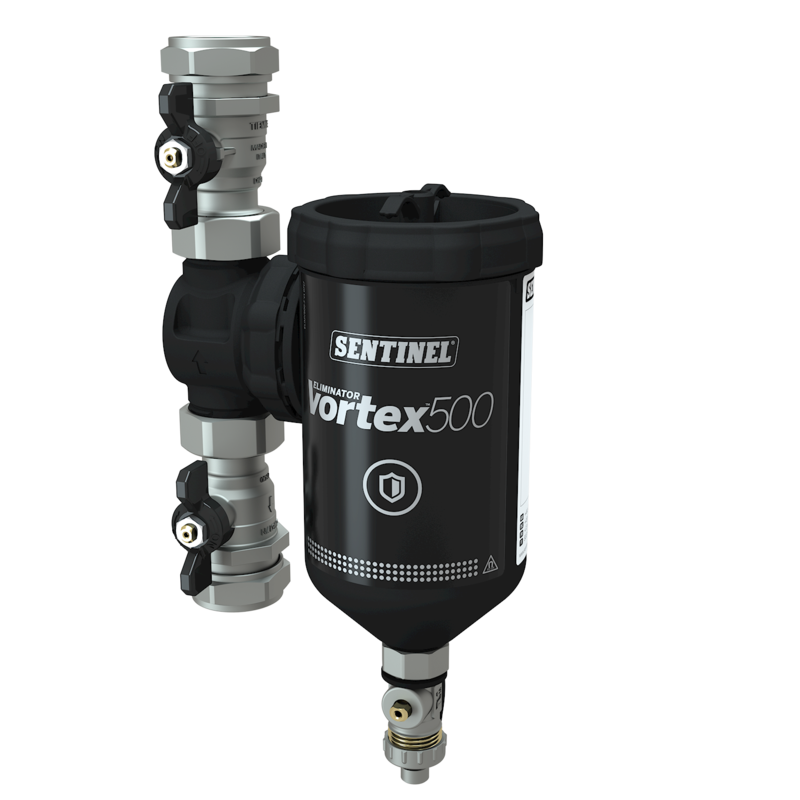 Note: If you are considering Sentinel Eliminator Vortex for social housing properties, please see our page about SystemCare.